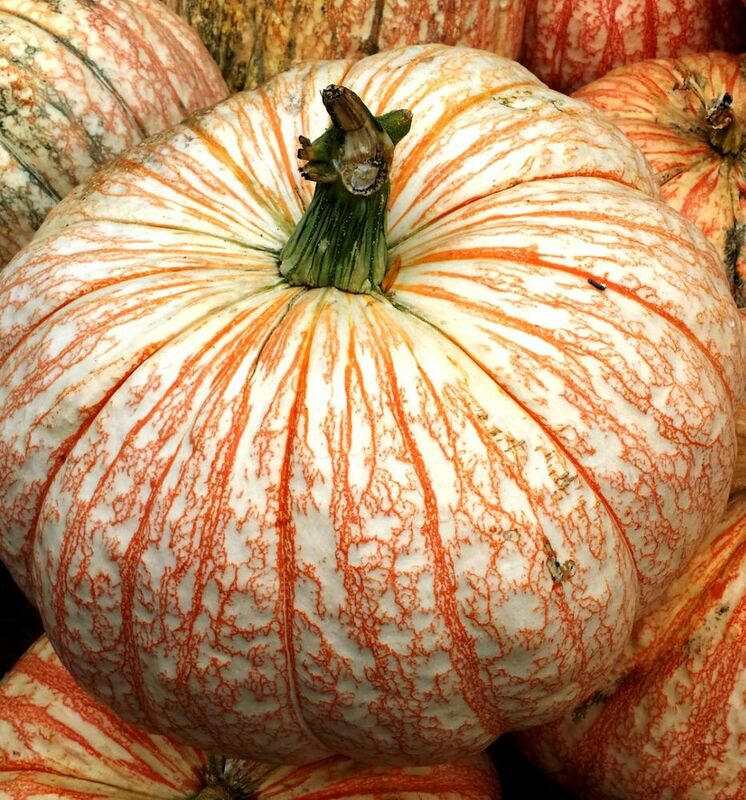 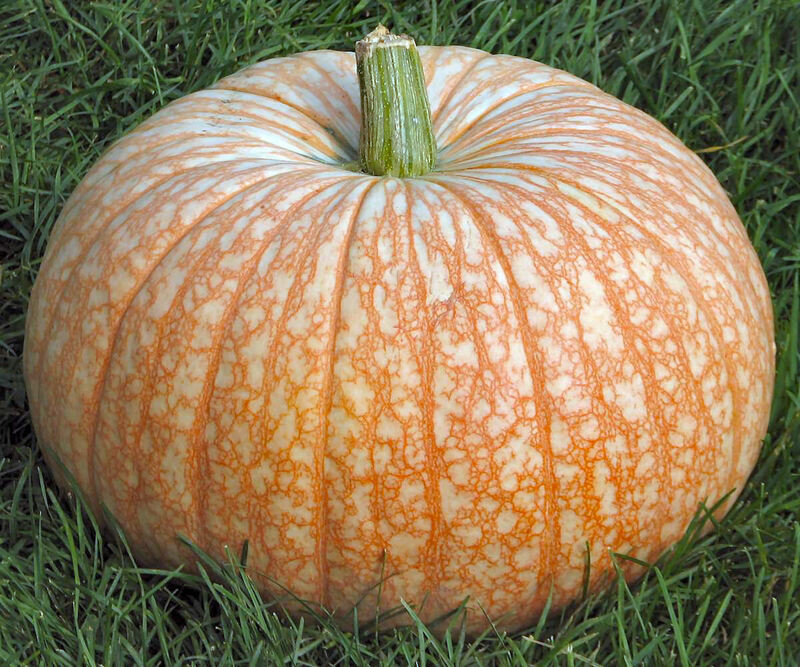 This attractive pumpkin is moderately sized and is a beautiful soft cream with orange stripes and speckles. 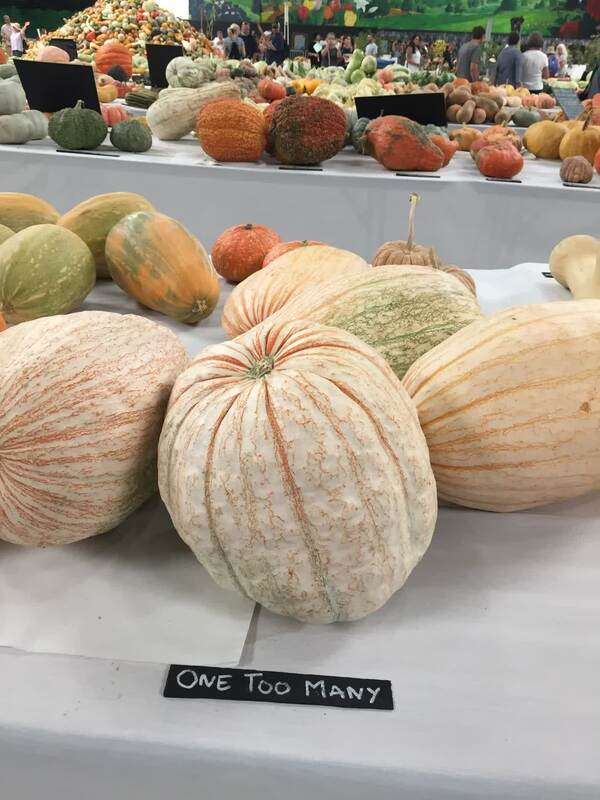 It can be inconsistent in production, and we never know from year to year if they will be big and flat or barrel shaped. 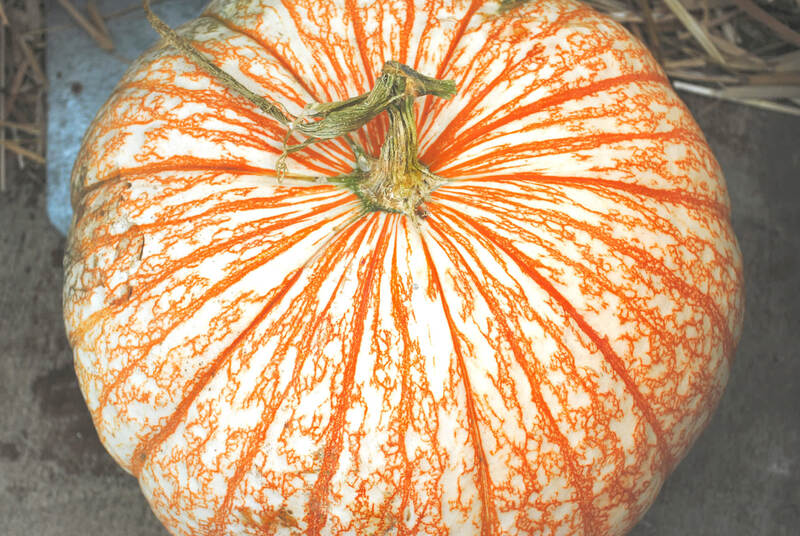 The One Too Many pumpkin is said to be so named because the underside looks like a bloodshot eye.